FITSat-1, F1 and TechEdSat launched. 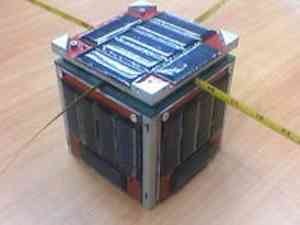 They will be loaded into the J-SSOD deployer on ISS KIBO with TechEdSat and F-1 by HTV-3 (Kounotori-3) on 21 July 2012. 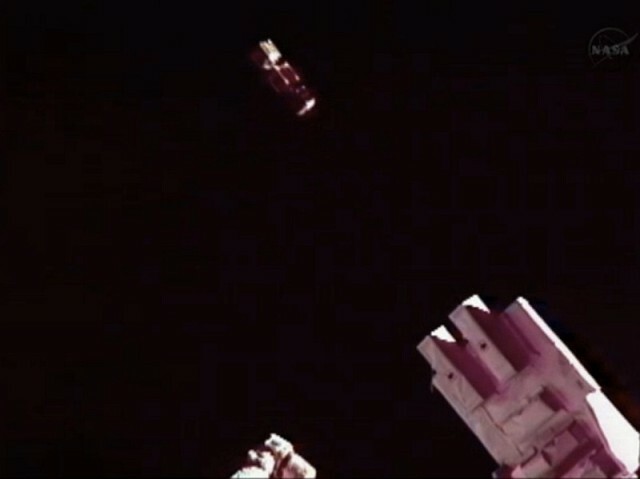 These satellites will be deployed from KIBO by the robotic arm in September 2012. 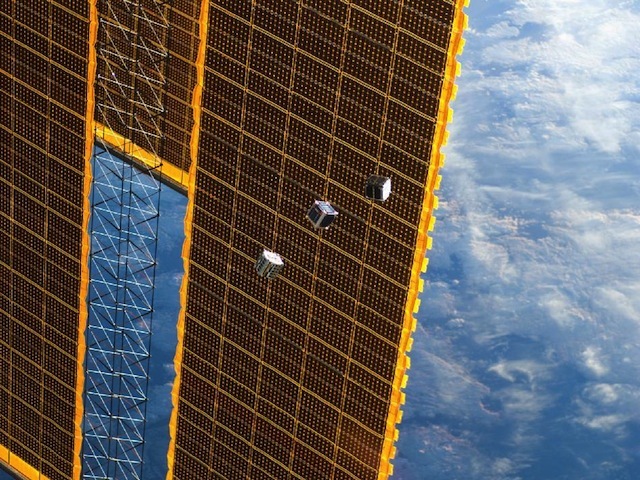 TechEdSat will be deployed from the International Space Station (ISS). 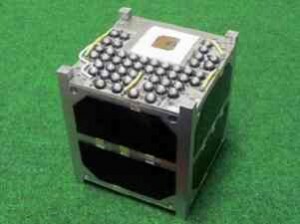 It is a 1U CubeSat that will demonstrate Plug and Play power architecture and two way communication via the satellite phone/data networks Iridium and Orbcomm. There will be a 437.465 MHz beacon transmitting 1 watt to 1/4 wave monopole. Commanding is via the commercial networks and there is a 2 week watchdog timer to stop the beacon in the event of no commands being received. TechEdSat will be launched along with Raiko, FITSat-1, We-Wish and F-1 to the ISS aboard HTV-3, currently planned to launch July 21, 2012. From there, it will be deployed into Low Earth Orbit using the JAXA J-SSOD deployer, from the Japanese Experiment Module (JEM also known as Kibo). They will be deployed with the Kibo robotic arm planned for September, 2012.